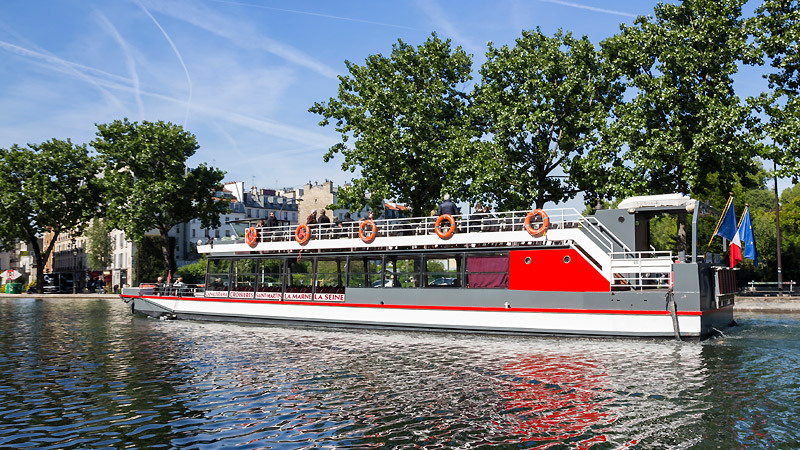 The Henri IV boat characterizes itself by its large and fully glazed lounge, allowing a 360 degree panorama so that you can enjoy the best views of Paris from wherever you’re standing. It welcomes up to 100 people for a dinner set up and up to 120 people for a cocktail set up, without taking into account the upper deck that will allow capacity for up to 80 more people. Henri IV offers the ideal elegant and comfortable atmosphere for your private events such as birthday celebrations, weddings, receptions or professional events. With its fully glazed hallway and parquet floors, its terrace and its vast upper deck, the Marcel Carné offers a very comfortable and original atmosphere for your private events while enjoying the best views of Paris. Its indoor lounge can accommodate up to 120 people, its terrace has a capacity of 38 people, and its upper deck of 96 people. 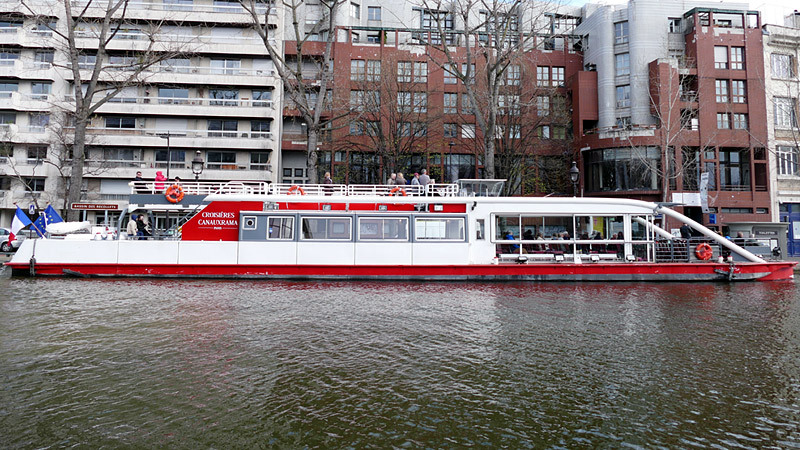 This boat is perfect for all your cocktail events or any lunch or dinner parties. Gavroche offers you its cozy atmosphere for your professional or private events. Enjoy the most beautiful panoramas of Paris thanks to its fully glazed lounge that welcomes up to 50 people (on a cocktail set up). 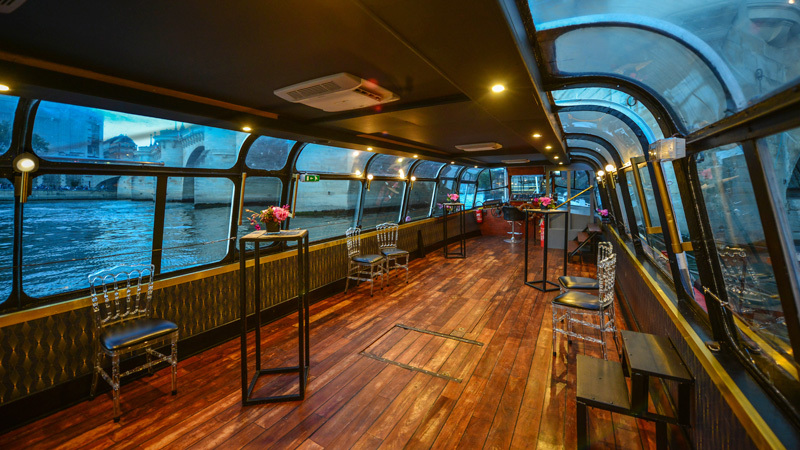 In addition to this indoor space, the boat also has a beautiful terrace with a capacity of 32 people, making it the ideal boat for seminars, birthday celebrations or any other cocktail, lunch or dinner event. With its convivial and comfortable facilities, Arletty is the ideal boat for your private events. The inside of the boat is composed by 2 vast hallways beautifully decorated with parquet floor welcoming up to 120 people. This space is extended by a terrace welcoming up to 32 people and an upper deck with a capacity up to 50 people. 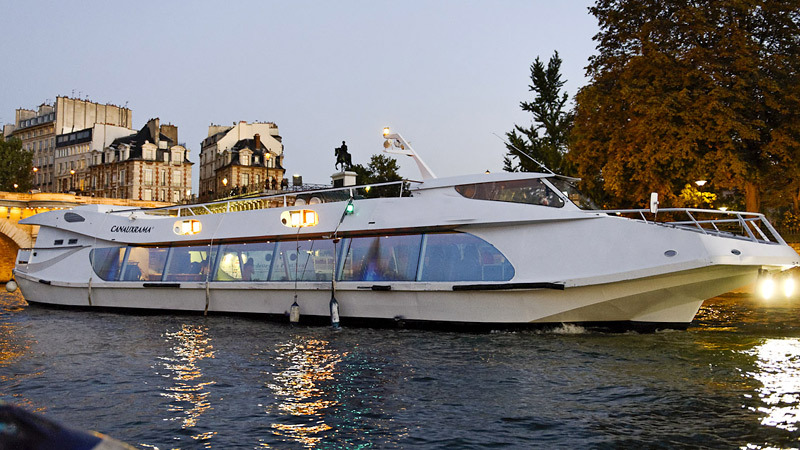 The boat is entirely glazed offering the very best views of Paris. The Rocca V is a very friendly boat with a particular vintage charm. It is very luminous and has a good visibility to the outside thanks to its wide windows on the sides and its glass roof. No matter the occasion it's the perfect boat for your small group receptions. The hallway welcomes up to 80 people, up to 44 people for a lunch or dinner set up or 50 people for cocktail parties. Sail away from the Parisian crowd in this small but cozy boat with a particular English charm. It has a capacity of 50 people for a cocktail party and up to 30 people for a seated dinner. There’s no doubt that the Sisley is the most suitable boat for all your cocktails with friends, family receptions or for a more intimate working environment. The Alliance boat is the most spacious boat of our fleet. Indeed, it can receive a maximum of 120 persons for a cocktail disposition and 100 persons for a dancing lunch or dinner. Both welcoming and luminous, it has a panoramic room and a large terrace outside. The interior decoration: wooden floor, woodwork and warm colors will bring a friendly atmosphere to your receptions. OFFER PARIS TO YOUR GUESTS ! 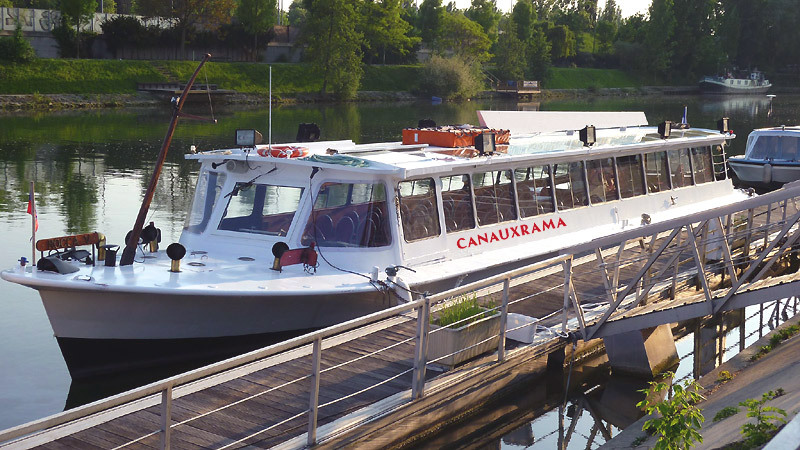 Rent one of our boats and organize "à la carte" your reception. We shall accompany you in the realization of your project and shall make every effort to advise you and make of you event an unforgettable moment ! To have lunch or in the evening, you will navigate as you please on the Seine River or the Saint-Martin Canal. 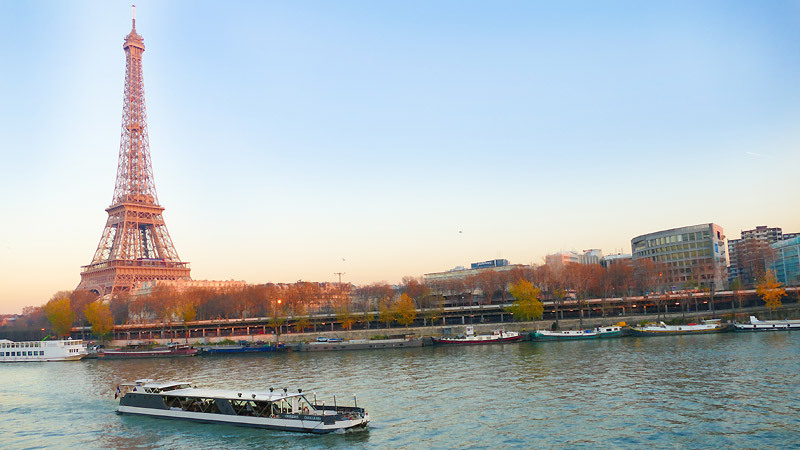 For one day, discover the Seine of the Impressionists until Chatou, the Marne and its famous Guinguettes or make a loop around Paris sailing on the Saint-Martin canal, the Seine and the Saint Denis Canal. 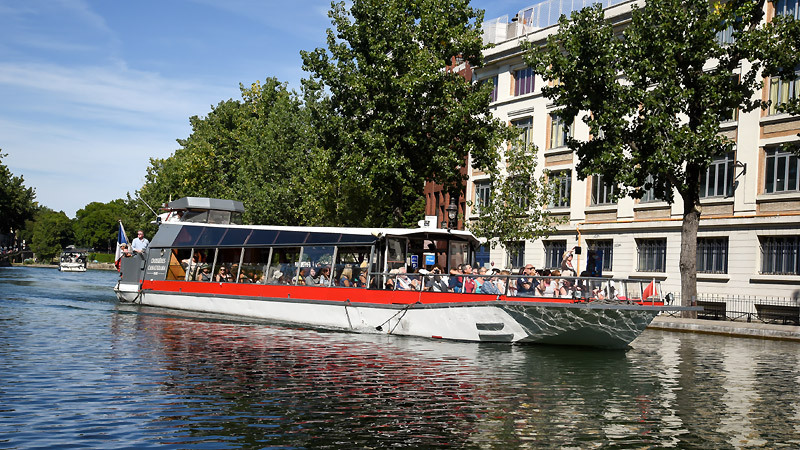 On the occasion of an event at the "Stade de France", sail on the Saint-Denis Canal and take your dinner guests to a concert or a match and disembark at the foot of this monument !